The adidas 2 x 3kg Neoprene dumbbells are a great choice for fitness lovers who enjoy additional accessories for further improvement of plain workout routines. This excellent pair of 3kg (6.6lbs) includes a non-slip and anti-roll neoprene coating for more enjoyable and convenient use, as well as enhanced, firm grip during favourite drills. The dumbbells are the essential accessory incorporated in most full-body workouts and best fitness trainings, ensuring great results in terms of endurance, strength and toned muscles. for submitting product information about adidas 2 x 3kg Neoprene Dumbbells We aim to answer all questions within 2-3 days. 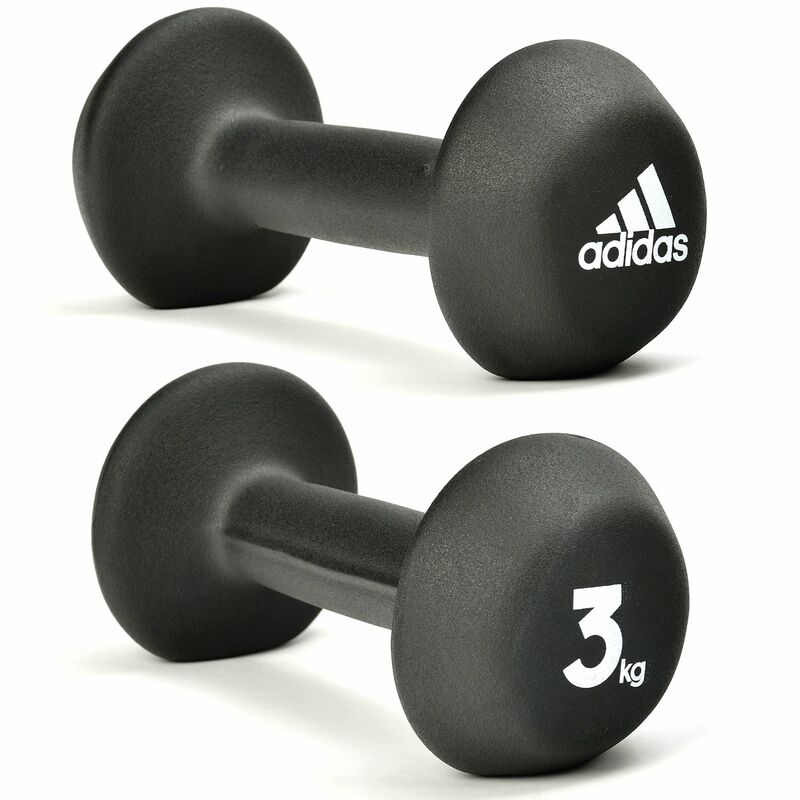 for submitting product information about adidas 2 x 3kg Neoprene Dumbbells. We aim to answer all questions within 2-3 days. If you provided your name and email address, we will email you as soon as the answer is published. for submitting product review about adidas 2 x 3kg Neoprene Dumbbells.